Jeeto Pakistan Dubai Special – never have four simple words, meant so much to so many. The demand for passes to Pakistan’s No1 game show outstripped supply to such a large extent, that security had to be called in to the ARY studios on the day of pass collection. 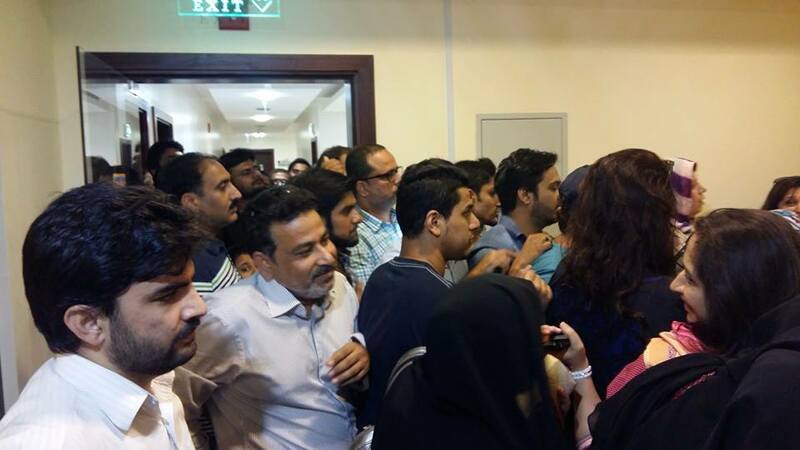 ARY fans travelled the length and breadth of the UAE in the hope of getting the much sought-after passes, even if they had not received confirmation texts following the mobile registration procedure. In a bid to accommodate as many people as possible, the 3-day bonanza event was held at Dubai’s glamorous Chi Lodge, a venue noted for bringing luck to its assembled audience. The set was as spectacular as the original one in Karachi. Incandescent lighting, boosted by the energy of the host and the passion of the crowd, built up the temp to such an extent, that the decibels of the audience vowed to spark off yet another frenzy. 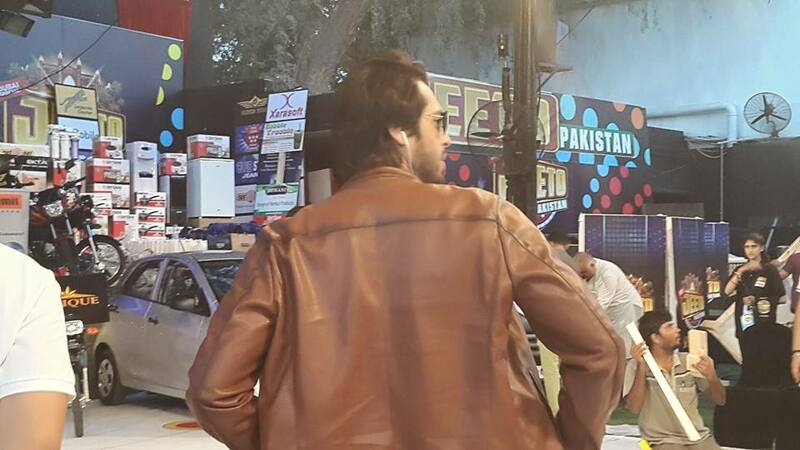 Host Fahad Mustafa’s arrival in Dubai a few days prior to the show, had excited female fans swooning at the thought of meeting him in person. Like a true pro, he charmed, regaled, entertained, comforted, elevated and simply gladdened the hearts of the people present. Heart-touching, was the effort brave participants put into their respective competitions. Heartwarming, was the sense of pride one got in seeing everyday Pakistanis sharing their prizes with family members. Heartbreaking, was the prevailing sense of sadness when some participants lost their round. 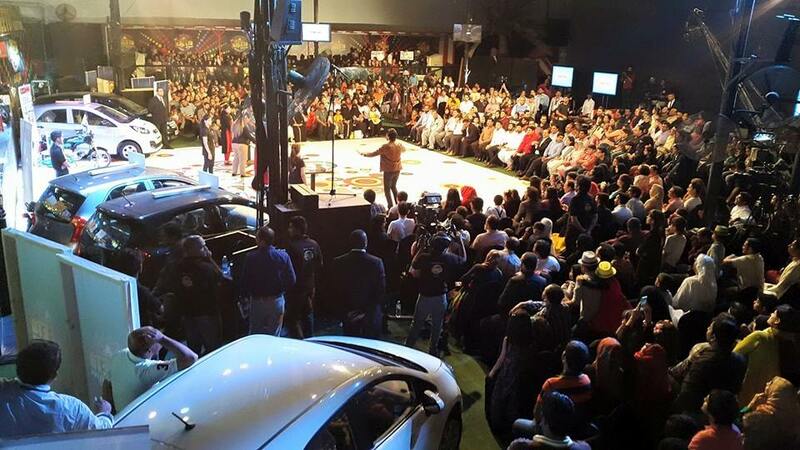 ARY Digital, with the help of the distinguished sponsors of the show, provided people with lifetime memories as they won cars, motorbikes , air tickets, plot ownership, refrigerators, televisions sets and beauty products. The extreme popularity of the show is both reassuring and humbling, showing a true connection between ARY Network and its loyal fan base.